First published in 1944, this title analyses the qualities that contribute to a successful manager. 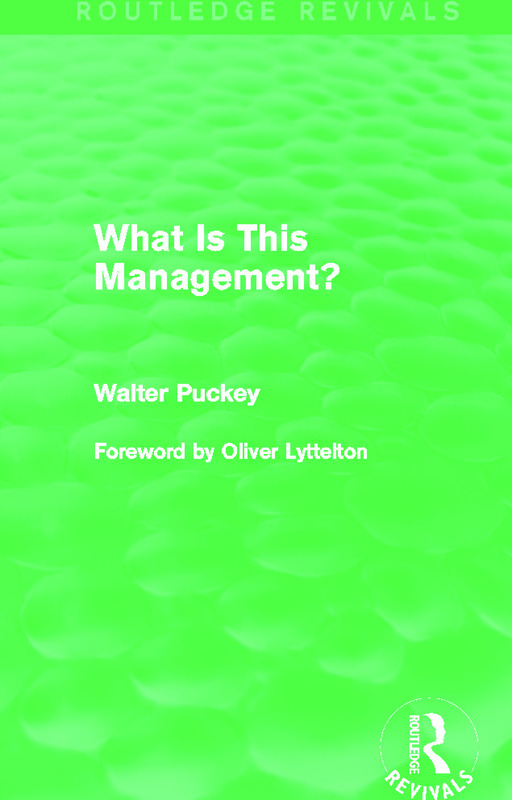 Receiving widespread praise from the business and academic community on publication, Walter Puckey discusses what the personal, organizational and technical qualities required of a good manager are; the social responsibilities of the manager; and, provides advice on how to train and select managers and considers a possible future for management. This is a timely reissue that will be of particular value to business students with an interest in the basic principles of the managerial role, as well as those concerned with the promotion of good management within their own organizations.